Fire Chief Michael Callahan is the Chief of the Kansas City Kansas Fire Department. 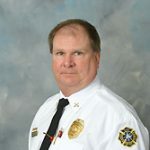 He is in his 40th year in the Fire Service, has served in every operational rank, and frontline, managerial, and administrative disciplines in his career. Chief Callahan is internationally credentialed as a Designated Chief Fire Officer by the Center for Public Safety Excellence. Chief Callahan has a dual Bachelor of Arts degree in Law Enforcement & Justice Administration and Spanish Languages from Western Illinois University in Macomb, Illinois and a Master of Science degree in Homeland Security from Tiffin University in Tiffin, Ohio. Chief Callahan came to the Kansas City, Kansas Fire Department after serving with the Chicago Fire Department. Chief Callahan is extremely fortunate to be supported by an outstanding Command Staff and a dedicated, courageous, and determined group of Company Officers, Drivers, and Firefighters who are the backbone of the Department. 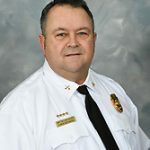 Chief Jack H. Andrade started his fire service career in 1995 as a volunteer firefighter at the Knob Noster Volunteer Fire Department and Johnson County Fire Protection District. In 1997, he transitioned to the career fire service in Warrensburg Fire Department. Chief Andrade spent 7 years as a firefighter for Warrensburg serving as a firefighter and a lieutenant. Chief Andrade has been with Kanas City Kansas Fire Department since 2004 and is currently serving in the role as 1st Deputy Fire Chief. Chief Andrade has a Master’s Degree in Occupational Safety Management in the Fire Service from the University of Central Missouri. He also has a Bachelor’s of Science Degree in Conservation Enforcement. 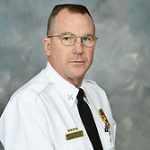 He has attended many courses through the National Fire Academy, Kansas Fire and Rescue Training Institute and MU Fire and Rescue Training Institute. 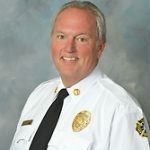 As a 1986 graduate of Wyandotte High School followed by an Associate Degree of Fire Sciences at Kansas City, Kansas Community College Chief Stroud was hired by Kansas City, Kansas Fire Department in 1990. Chief Stroud became a second – generation firefighter for the department. In the position of Firefighter he worked at Station 5 (9th & Quindaro) and then Station 9 (11th & Central). In 1999 he was promoted to the position of Driver and served at HazMat Station 2 (62nd & State) and Station 3 (5th & Kansas Ave.). In 2005 he was promoted to Captain and served 11 years at Station 11 (31st & State Ave.). In 2016 Chief Stroud was promoted to Battalion Chief followed by being promoted to Deputy Chief of Operations. Deputy Chief John Droppelmann’s fire service career spans 28 years. Chief Droppelmann has been a member of the Kansas City Kansas Fire Department for the past 24 years serving as the Fire Marshal for the past 3 years. 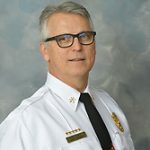 Chief Droppelmann relies on his educational background in Electrical Engineering, investigations, inspections, code enforcement, and plans review to oversee the department’s Fire Prevention Division. Chief Droppelmann’s previous positions with the Fire Department include Firefighter, Paramedic, Driver, Captain, Acting Battalion Chief, and Fire Investigator. 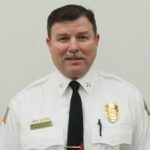 As Deputy Chief of the Fire Prevention Division he is responsible for the inspections of over 4500 commercial structures within the city limits, conducting fire prevention education and public relations, and enforcement of the Fire Department’s section of the City’s ordinances. He is also responsible for overseeing the investigation of over 500 fires each year and assisting the District Attorney’s office with the prosecution of those persons who have been criminally charged with violating one or more of Kansas’ arson statutes. Operations Chief for Battalion 121-1ST SHIFT. Chief Bergman is a 22 YEAR VETERAN FIREFIGHTER. 56 YEARS OLD. He considers it an honor and a privilege to serve the city he grew up in and has lived in all his life! He is presently fulfilling the role of Battalion Chief in District 1 as Battalion 121, working daily with 6 of KCKFD’s 18 stations housing 16 EMS and fire apparatus and 60 men/women per shift. None of this would have ever been possible if not for his two now-grown children: Lindsay is enjoying marriage with James(both successfully employed by the Cerner corporation) and his son Nicholas(a recent retiree/veteran of the united states navy). They are his inspiration in life! Baseball and golf are two of his favorite sports, among many. Operations Chief for 2nd Shift also in charge of Technical Rescue. Chief Hawley has been in the Fire Service for 28 years, 24 here in KCK and the other 4 in Salina Kansas where he was born and raised. Chief Hawley started in the Fire Service after becoming an EMT in 1990 and later became a Paramedic in 1993. Since moving to KCK he has worked the majority of his career in the downtown district splitting time as a Firefighter between Stations 11, and 14, driving out of Station 1, and working as a Captain at Station 5. Chief Heath is currently serving as a Battalion Chief in the EMS division. He began his firefighting career in 1990 outside of Topeka and has been with Kansas City Kansas Fire since 1997. He is a Paramedic and has worked in many roles with in the organization including Hazardous materials response, as an EMS supervisor, and in the investigations division. Chief Bryan Hendin has served with the fire department since 1997 and has worked in several different modalities throughout his career. Chief Hendin started as a firefighter/paramedic working on the pumper at Station 9 for over 11 years. Chief Hendin promoted through the ranks from driver to Battalion Chief since 2009. 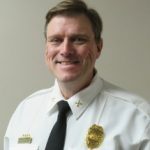 Chief Hendin has earned two Associate’s degrees, a Bachelor of Applied Science from the University of Iowa, and a Bachelor of Public Administration from Park University. Currently, Chief Hendin is working on a Master’s of Public Administration at Park University. Before his fire service career, Chief Hendin served in the United States Army from 1987-1993 with the majority of his time spent with 3rd Ranger Battalion. He graduated from Ranger School in 1989, promoted the rank of Sergeant, and a decorated combat veteran serving in Operation Just Cause and Operation Desert Storm. Chief Hendin has been married to his wife Janelle since 2008, and together they have three children, two dogs, and two cats. Chief Jayne began his fire service career with the Kansas City Kansas Fire Department in 1998. He has a Bachelor’s Degree in Mathematics Education from Kansas State University and an Associate’s Degree in Fire Science from Kansas City Kansas Community College. Chief Jayne was promoted to Battalion Chief in 2017 and currently serves as a BC on 2nd shift as well as a Technical Rescue Chief. Chief Johnson began her public service career in 1995 as an EMT for a small EMS service in NE Kansas and was hired by the KCKFD in October of 1997. She has spent the last 21 years serving the residents of KCK as a career firefighter, driver, captain, battalion chief, and fire investigator. Chief Johnson is currently the Chief of Policy Development and Implementation as well as the KCKFD’s Accreditation Manager. She holds a bachelor’s degree in Journalism from the University of Kansas and a Master’s degree in Public Affairs from Park University. She has been accepted to National Fire Academy’s Executive Fire Officer program and will begin working towards her EFO in late 2019. 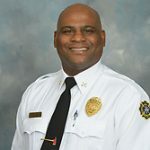 Chief Johnson was also chosen to be a member of the International Association of Fire Chief’s Fire Service Executive Development Institute 2019 Cohort as well as Wyandotte County Leadership 2000 Class 33. 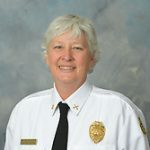 Chief Johnson is a Kansas Certified Fire Investigator II and holds Fire Instructor II certification and serves on an IFSTA Validation committee.. She has taught in the Kansas City Kansas Community College Fire Science Department since January of 2012 and is a member of the KCKFD Instructor Cadre. When Jenn is not at work, she can be found on her bike (the kind without a motor), on the water in a boat or on a paddleboard, at the dog park or on her front porch with her three, best, furry friends, and spending time with her big, loud, awesome family. Chief Kloiber has been with the Kansas City Kansas Fire Department since October 1st, 1995. He currently holds the rank of Battalion Chief and his title is Battalion Chief of Investigations. As an investigator his duties include the investigation of any and all types of fires and burn injuries. 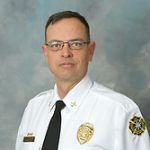 Chief Letcher is a 21 year veteran of the Kansas City Kansas Fire Department, working his way through the ranks of Driver, Captain, and presently Assistant Chief. 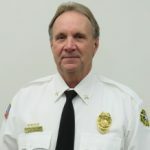 Chief Letcher works in the administration branch of the Kansas City Kansas Fire Department, where he leads the Public Information and Recruitment division. This division works with the state and local media outlets in regards to fires, major incidents, public education and recruitment. 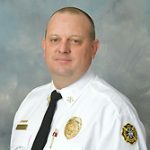 Chief Letcher holds a Bachelor’s degree in Universal Studies with a minor in Criminal Justice from East Carolina University, Associates of Arts from Coffeyville Community College, and Associates of Fire Science from Kansas City Kansas Community College. Chief Letcher has been accepted to the National Fire Academy Executive Officer Program. This program researches and examines how to exercise leadership when dealing with difficult or unique problems within communities. Assistant Chief Shawn McLaughlin currently serves as the Chief of the Communications Division for the Kansas City Kansas Fire Department. Shawn was born and raised in Kansas City, Kansas and graduated from Sumner Academy of Arts and Science in 1991. His career with the KCKFD began in 2000, and since that time he has served as a Firefighter/EMT, Driver, Fire Captain, Battalion Chief, and as a member of the department’s Hazardous Materials team and Honor Guard Pipes and Drums. 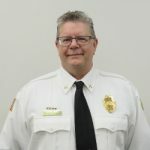 His current duties include managing all aspects of the Fire Communications Division which provides 911 service to the citizens of Wyandotte County, including emergency medical and fire dispatching. Shawn is a member of the International Association of Fire Chiefs (IAFC), and is currently pursuing Bachelor of Science in Business Management. Shawn has been married to his wife Stephanie for 23 years and has three teenage daughters. Chief Andrew L Novak started his career with K.C.K.F.D. spring of 1998. Chief Novak has worked in all three districts throughout the city, serving as a Firefighter for 7 years, Driver for 4 years, and Captain for 9 years. He is also proud to be 3rd generation for the K.C.K.F.D. and a life- long resident of K.C.Ks. Chief Novak is currently assigned as the Battalion chief on 1st shift in District #3, and is the B.C. of the Hazardous Material Team. Chief Novak has a Bachelor of Arts Degree in Criminal Justice from Benedictine College in Atchison Ks and Associates in Fire Science through Kansas City Kansas Community College. He has attended courses through the National Fire Academy to include Incident Command and Control and many Hazardous Materials/ WMD exercises. Chief Shost became a Paramedic in 1985 and immediately began his career in fire-based EMS. After 10 years in the fire service, he accepted an opportunity to join the MAST System (KCMO EMS System) in a Supervisory and Management capacity. He left MAST in 2003 and hired on with KCKFD as the EMS Transport Chief in 2004. 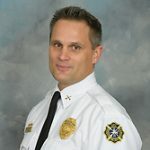 Chief Shost holds a Bachelor of Arts degree from Mid-America Nazarene University in Management and Human Relations. Currently serves as Assistant Chief of EMS. In his position Chief Smith oversees our maintenance facility, property, information technology, and the logistics division. 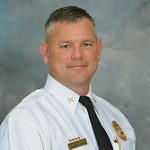 Chief Smith has fifteen years of service on the Kansas City Kansas Fire Department and has a passion for serving the community of Wyandotte County. Currently serves as Assistant Chief of Support Services. Chief Smith has lived in Kansas City, Kansas most of his life. He started his fire service career with the Kansas City Kansas Fire Department in September of 1990 and served as Firefighter/EMT his first 10 years. The following 8 years he served as a driver/operator and then advanced to the rank of Captain for the next 11 years. 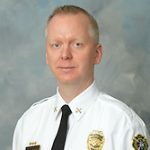 In October of 2018, Chief Smith was promoted to Battalion Chief and he is presently serving in that role. Battalion Chief Thomas Stark is a Kansas City Kansas Fire Department Fire Investigator. Thomas Stark was born in Kansas City, Kansas on June 19, 1968. While growing up, he and his family lived in various places to include Lubbock, Texas, Thomasville, Georgia and Linwood, Kansas. He graduated from Linwood High School in 1986. Mr. Stark received his Bachelor’s Degree in Atmospheric Science from the University of Kansas in 1992. He went on to receive his Master’s Degree in Public Administration from the University of Missouri, Kansas City in 2003. Additionally, Tom has Associate Degrees in Fire Science, Aviation Technology and Business. Mr. Stark served for seven years in the United States Air Force as a Special Operations Helicopter Crew Chief. During his time in the Air Force, he spent time South Korea, Malaysia, Thailand, Italy and various locations throughout the U.S. He was honorably discharged as a Staff Sergeant from the Air Force with several awards to include the Airman’s Medal, the military’s highest non-combat medal for heroism. 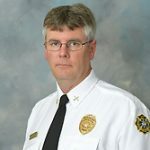 Thomas started his firefighting career as a volunteer firefighter in the Florosa Fire Control District in Florida in 1992 while serving in the Air Force. Once discharged from the Air Force, Tom and his wife, moved back to the Kansas City Area. Mr. Stark was hired by the Kansas City Kansas Fire Department in 1999. He has served as a Fire Investigator since 2014. As an employee of the fire department, Thomas has earned numerous certifications to include his Firefighter I and II certifications, the Kansas State Certified Fire Investigator II certification and the International Arson Investigator Association Evidence Collection Technician and Fire Investigator Technician. 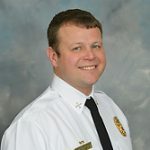 While working on his Public Administration Degree, Thomas worked as an intern with Chief Smokey Dyer of the Kansas City Missouri Fire Department. Tom assisted with the development of their Strategic Plan. He later serviced as a consultant on the same project. Tom also service as a consultant assisting several Missouri cities and counties with updating their Emergency Operations Plans. As a fire investigator, Chief Stark has investigated over 300 fires. He maintains a membership with the Kansas City Arson Task Force, the Eastern Kansas Arson Task Force, the International Association of Arson Investigators and the International Association of Fire Chiefs. He works closely with the Kansas City Kansas Police Department, the Kansas Bureau of Investigation, the Kansas Fire Marshall Office and the Bureau of Alcohol, Tobacco, Firearms and Explosives. grew up as the son of an Army Officer, moving to a new state year as a child. Bryan attended West Point, served as an Infantry Officer, and continued his public service as a firefighter, paramedic, and technical rescue team member. He holds a BS in Mechanical Engineering, and a Masters in Fire Management. He worked at MAST ambulance and the Kansas City Missouri fire department before progressing to the KCKFD. Once with KCK, he performed duties as a KARE tech, firefighter, driver, and captain, and served in suppression, training, TEMS, and dispatch divisions within the department. Bryan is a Kansas Certified Fire Investigator 2 for the department. As an LEO firearms trainer, he manages the firearms training within the Fire Investigations Unit. He enjoys high stress, realistic, to a high standard training, and trains firefighters and police officers across Kansas. Bryan is known for his attention to detail, high standards and expectations, and has a storied history of choosing the harder right over the easier wrong. On his off days, he is a competitive pistol shooter, student, and instructor, and will go rappelling anywhere possible. Assistant Chief with Kansas City Kansas Fire Department, currently assigned to 3rd shift Operations Chief. 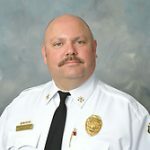 Chief White has 23 years in the fire service. For the last 21 years he has worked for the KCK Fire Dept. where he started as a firefighter, promoted to driver and then to captain. 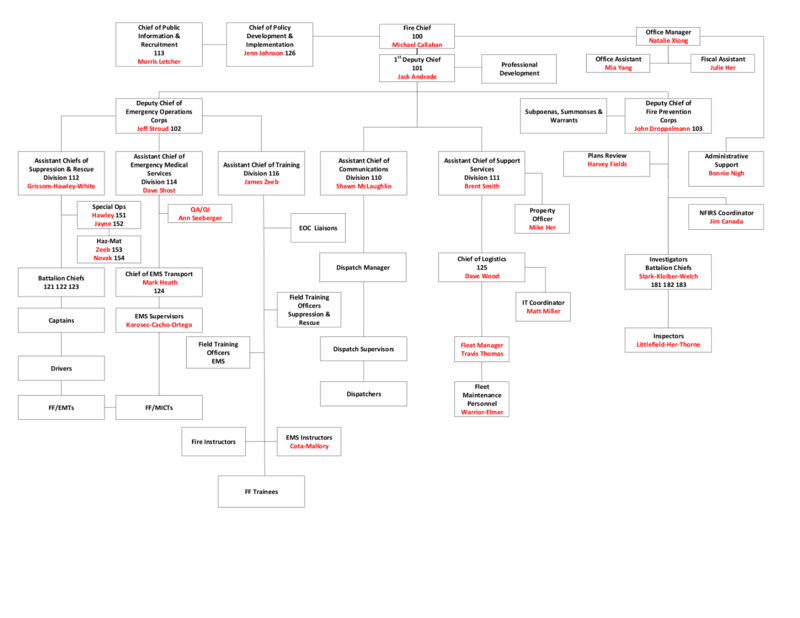 The majority of his time as a firefighter was spent at P-11. Chief White promoted to driver and drove P-20 and P-14. He promoted to Captain and his first assignment was P-17, after 2 years he moved to P-9 and finished his years as a captain at P-14. He was promoted to Battalion Chief and served on 2nd shift until his most recent promotion to Assistant Chief. Currently Chief Wood serves as Battalion Chief of Logistics with the Support Services Division. He handles the day to day logistical issues with regards to the Fire Stations and equipment. He is currently involved with projects to upgrade and renovate our Fire stations. With that position he also oversees the Maintenance Shop for the KCKFD. He has served 23 years with the Kansas City Kansas Fire Department. Chief of the Training Division for the Kansas City Kansas Fire Department. A 24 year veteran of the KCKFD Chief Zeeb has served in many different positions within the organization. Chief Zeeb also functions as one of the Hazardous Materials Command Officers for the KCKFD. 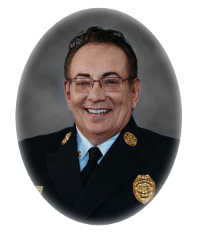 Chief Zeeb has his Associates Degree in Fire Science from the Kansas City, Kansas Community College, a Bachelor’s Degree in Communications from Hastings College in Hastings, Nebraska and a Masters of Business Administration from the University of Saint Mary in Overland Park/Leavenworth, Kansas. Chief Zeeb serves the KCKFD on many regional committees such as the Local Area Planning Committee (LEPC) and the Regional Homeland Security Coordinating Committee (RHSCC), both groups are sponsored and supported through the Mid-America Regional Council (MARC).